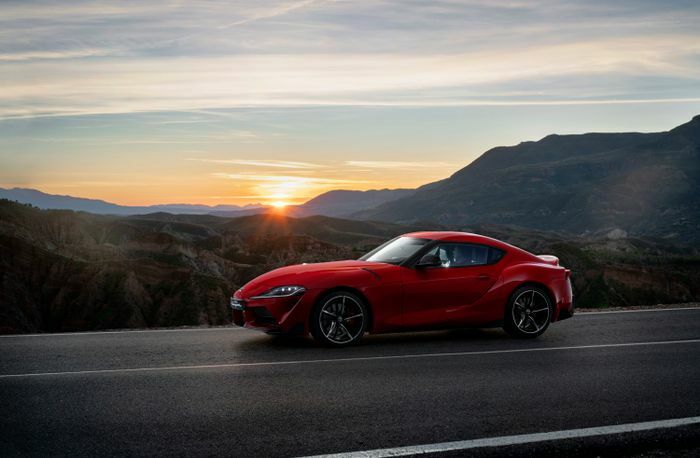 2020 A90 Toyota Supra By Numbers: How Does It Compare To Rivals? 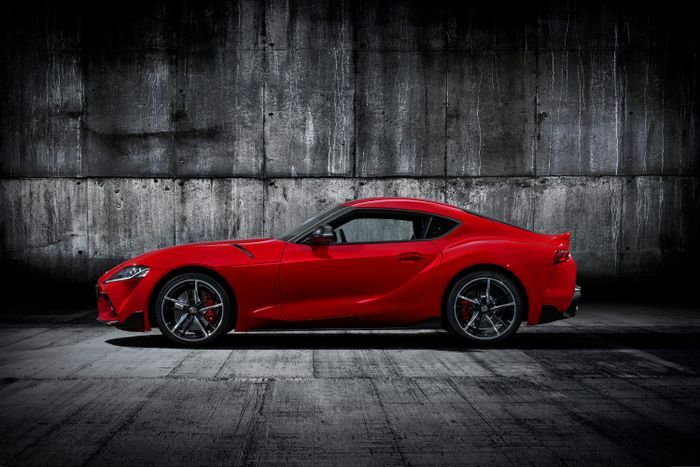 At last, we know all about the new Toyota GR Supra. Granted, the car’s excessively drawn-out reveal process means not much of the car’s spec comes as a surprise, but now all the facts and figures are official, we can start to see how the sports car stacks up against the competition. The most obvious competitor seems to be the Porsche 718 Cayman S. It’s a two-seater like the Supra - albeit one with an engine in a different place - and is similar in terms of price and power. The TT RS is in the same ballpark in terms of price, but it’s worth pointing out the car is currently not on sale, and an updated version won’t be joining the ranks until next year. 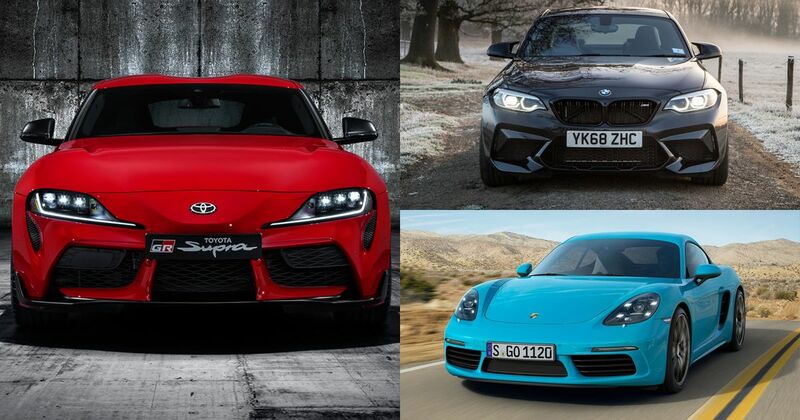 We could compare the Supra to the new Z4, with which it was jointly developed, but since it’s a convertible, we’d rather benchmark it against the new BMW M2 Competition. And finally, just to get something a little different into the mix, we’re going to see how it shapes up next to the Alpine A110. 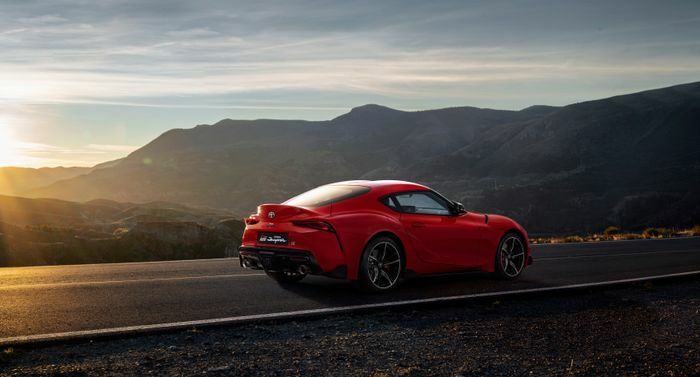 With a 3.0-litre single twin-scroll turbocharged inline-six, the Supra has the joint honour of having the biggest engine, shared with the M2 Competition. Both are BMW units, but while the Supra uses the B58 - which perhaps confusingly replaced the N55 which the old M2 had - the M2 Comp has a fancier twin-turbo engine borrowed from the M4. 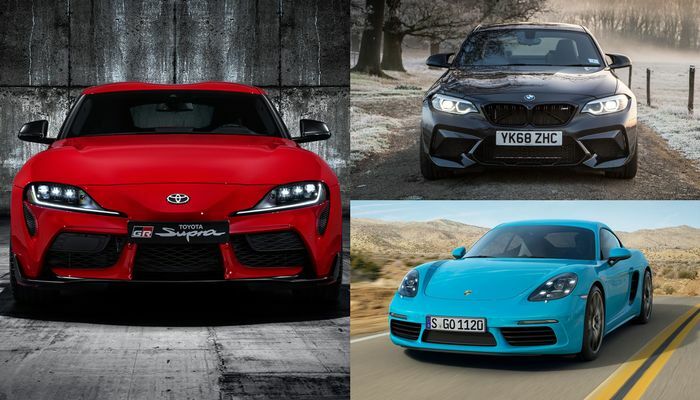 It makes 404bhp to the Supra’s 335bhp, while the 2.5-litre inline-five in TT RS makes a thumping 395bhp and the Cayman’s 2.5-litre flat-four a healthy 345bhp. 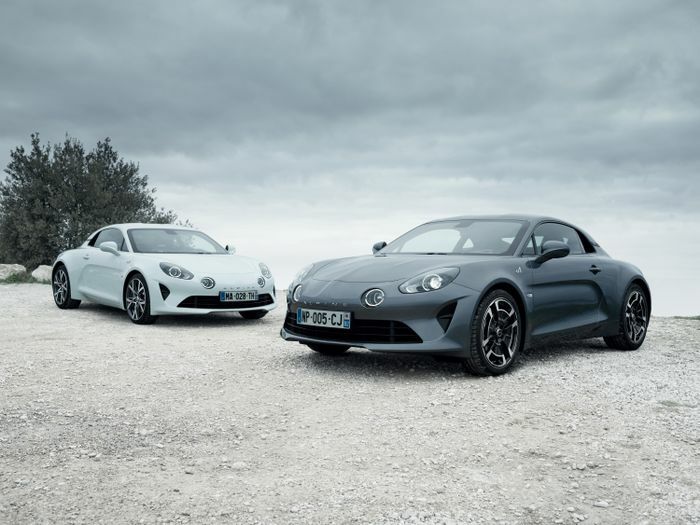 In fact the only car here which develops less power is the Alpine A110, with its 250bhp inline-four turbo, although it has less weight to propel (we’ll get back to that later), meaning it’ll do 0-62mph in 4.5 seconds, just two tenths off the Supra’s 4.3. When equipped with a PDK automatic gearbox the Cayman S slots neatly in between with a 4.4sec sprint, but if you option Sport Chrono that drops to 4.2, identical to an M2 Comp with DCT. 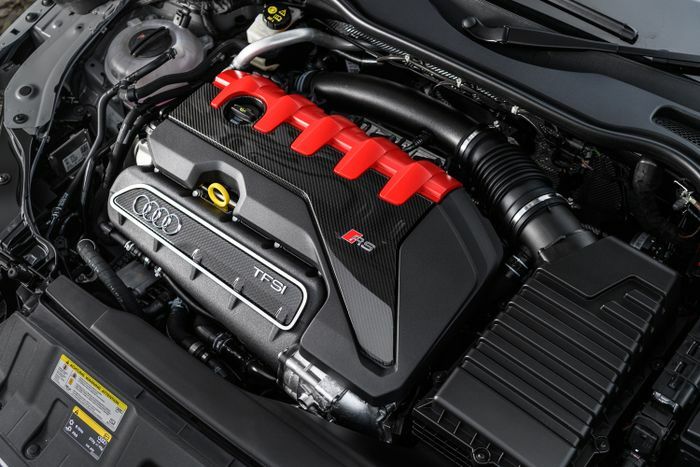 The TT RS is significantly faster than the other four, hitting 62mph in 3.7 seconds. Yikes. The Supra’s 4379mm length is identical to the Cayman S, but at 1854mm wide it’s a little narrower than the Porsche, which measures 1994mm across. In terms of wheelbase there’s only 5mm in it. 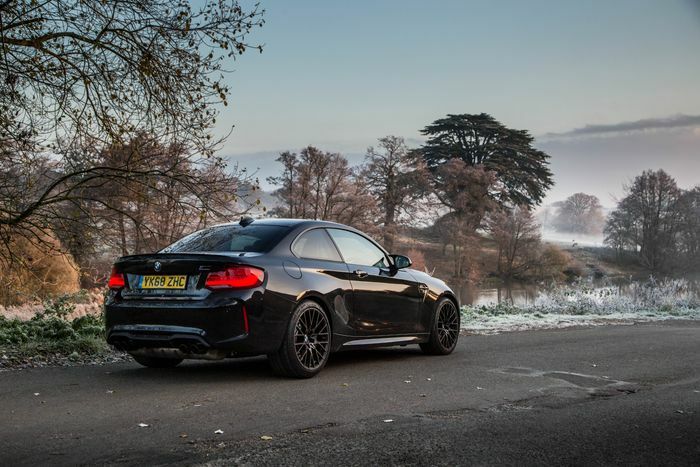 The TT RS is shorter and narrower than both but with a longer wheelbase, while the M2 is the longest car here for both overall length and wheelbase, and is just a little narrower than the Cayman S. The Alpine is wider than the Supra and has a slightly bigger wheelbase, but it’s 199mm shorter. TL;DR: sizing is on the whole pretty similar. This one’s arguably a lot more important than outward dimensions. The kerb weight for a Supra with a driver is 1575kg, which sounds quite a lot until you consider the M2 is a positively porky 1625kg. All the other cars here are lighter, though: the (four-wheel drive) Audi tips the scales at 1515kg, the 718 Cayman S 1460kg, and the Alpine a pithy 1123kg even in the heavier ‘Legende’ spec. 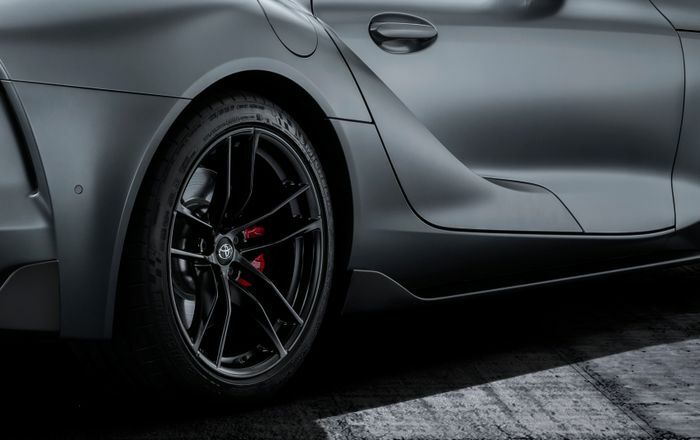 The Toyota GR Supra has the fattest tyres of the lot, with its 19-inch wheels wearing 255/35 Michelin Pilot Super Sports at the front and 275/35s at the back. 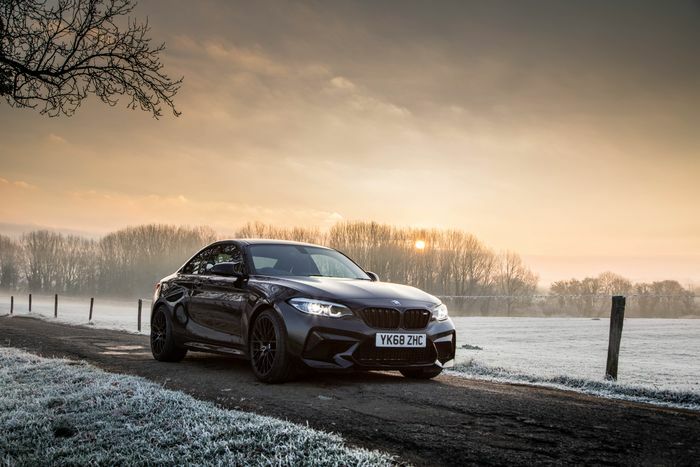 The M2 Competition - which tends to come from the factory on Super Sports too - has a 245/35/19 front and 265/35/19 rear mix, whereas the Cayman has 235 front and 265 rears both with a taller 40 profile ratio and a 19-inch diameter. The TT has 245/35/19s front and rear, which is still bigger than the skinny hoops fitted to the A110: the Legende makes do with a 205/40/18 front and 235/40/18 rear arrangement, made possible by the car’s low power and weight figures. And now for the big one. 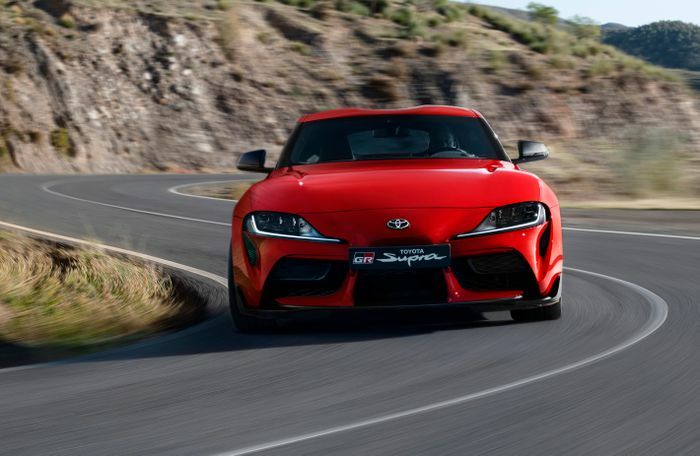 The up-front cost of an entry-level GR Supra is £52,695 ($49,990), making it £400 less than a BMW M2 Competition and getting on for £2500 less expensive than the Porsche 718 Cayman S, if you’re comparing the Toyota to the automatic versions of each. 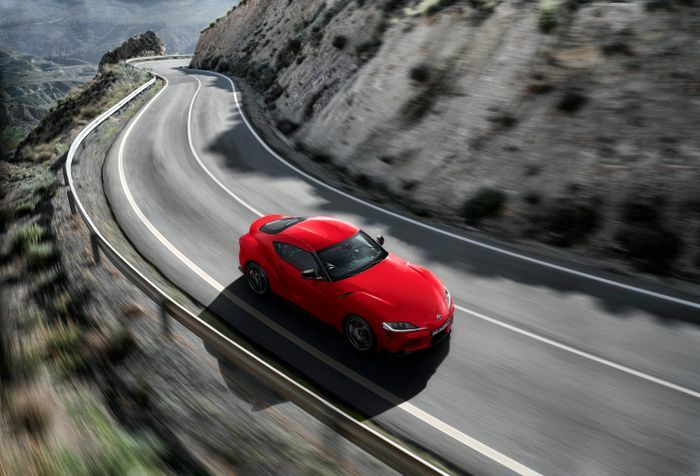 The Supra, remember, is automatic only, although if the stick-shift option of the BMW and the Porsche is tempting to you, the price of each drops by about £2000. 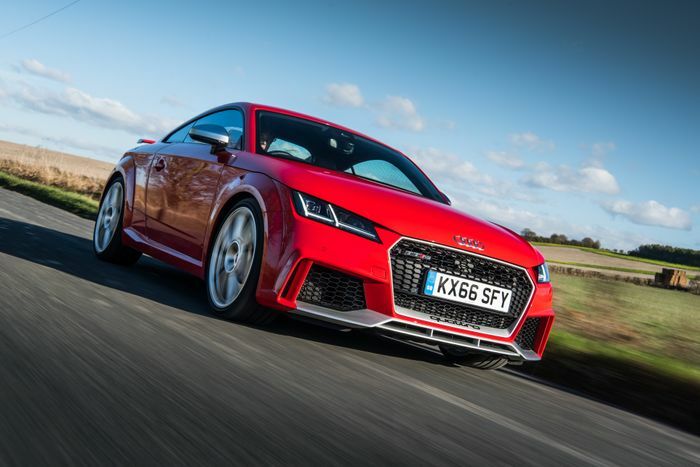 A base TT RS coupe was a couple hundred quid less than the GR Supra’s opening figure before the warbly Audi was taken off sale, and the price shouldn’t rise by too much once the facelift is here. The Alpine A110 is the comparative bargain of the group with the Pure costing just £46,905, and the plusher Legende coming in at £50,805. This makes the Supra seem rather pricey given the badge kudos associated with its competitors. But it’s not quite that simple: the standard spec is generous, and even the fully laden A90 Edition is only £56,945. It’s shockingly easy to add over £10,000 options to the Porsche, and the same was true of the TT RS when it was still kicking around. This also isn’t the most complete price comparison right now - many will use leasing or PCP deals to get hold of a Supra, and we don’t yet know how the car will fare in this regard. For one final caveat, we should note things shape up a little differently in the USA - the GR Supra’s US price of $49,990 plus $930 destination charge makes it around $20,000 cheaper than a PDK’d Cayman S in the States, and over $10,000 less than an M2 Comp with DCT. We will, of course, be doing our best to get the GR Supra together with at least some of these cars to see how it compares to drive. For now, though, which of these cars would you have? Or would your £53,000 or so go to another sports car instead? Let us know in the comments.